By 21st February 1922 the committee issued instructions to the Volunteer Brigade commanders to begin recruiting suitable candidates for the new police force which was to be armed and known as the “Civic Guards”. These recruits were to be single men, at least 5’9” tall and able to pass examinations in arithmetic, reading and spelling. The first Commissioner o f the new force was Michael Staines. Initially the first recruits were trained at R.D.S. Ballsbridge but were soon to be relocated to Kildare Military Barracks. Here, on 15th May 1922, whilst Michael Staines was delivering his morning address, over 1,000 guards broke ranks and seized the armoury. Staines and his senior officers had to flee the scene. It was not until the middle of September that members of the Garda Síochana were diffused to various locations throughout the country although Dublin Castle and Ship Street barracks had been occupied by August when the force was still known as the Civic Guards. It was at Ship Street that the force suffered its first fatality when 19 years old Guard Charles Eastwood was accidently killed by a comrade. This accident led to the disarming of the uniformed members of the force and considering that the country was in the throes of a vicious civil war it was a very bold step and one which demonstrated the bravery of each individual guard. In October 1922 the first fatality due to Civil War activities occurred when Garda Henry Phelan was shot dead in mistake for his brother who had been a member of the RIC. By December that year the British had evacuated Phoenix Park Depot and nearby Marlborough barracks and The Garda Síochána moved in. Marlborough was renamed as McKee Barracks. The Criminal Investigation Department was formed on 22 August 1922, the same day that Michael Collins fell to a sniper’s bullet. The C.I.D was to be “distinct from existing police forces with separate headquarters under the direct control of the Minister for Home Affairs”. This department was formed from members of the Irish Republican Police and members of the National Army. It consisted of over 100 heavily armed men and three women who posed as typists but whose real job was to ferret out women engaged in anti-state activities. The CID headquarters was at Oriel House on Westland Row in Dublin. The Irregulars were to target the CID several times over the next few months killing two men and wounding others. By October 1923 the Free State was stable enough for the CID to be disbanded and its personnel transferred to the Dublin Metropolitan Police. 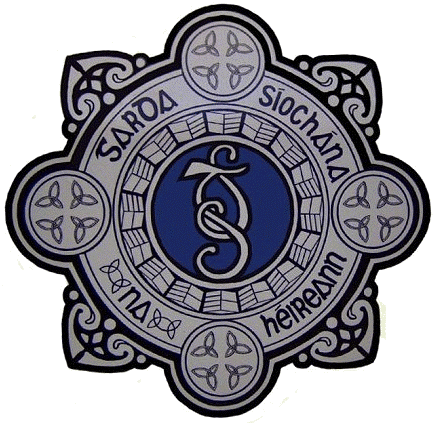 In 1925 the DMP was itself amalgamated with the Garda Síochána and in 1928 the first Garda Síochána Code was published and strictly enforced by formal and informal investigations be senior officers.